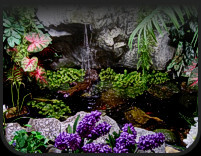 Without power there is not much that can be done with filtration on the aquatic system. The fish and animals if not overloaded in the aquarium should be okay, for a few days filtration wise. 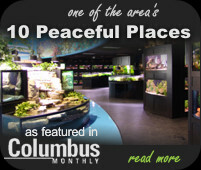 Do not feed the fish or do any cleaning of the aquarium as this can add to the overload of the filtration system. 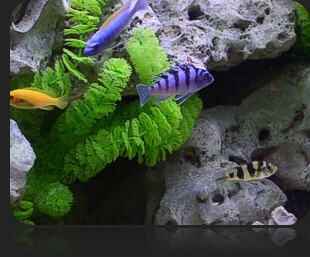 The most important immediate concern for the fish in the aquarium is gas exchange, oxygen in and carbon dioxide out. This occurs in the aquarium at the water surface. Moving the water at the surface increases the surface area and thus increases gas exchange. This can be created manually by using a bucket. Put holes in the bottom of the bucket and position the bucket above the aquarium. Fill the bucket with water from the aquarium and allow it to drip/splash back into the aquarium creating increased surface movement and increased gas exchange, oxygen in and carbon dioxide out. How often should the bucket operation be performed? The fish will tell you. When they need oxygen, they will go to the surface and hang there “this is where the greatest concentration of oxygen is located”. At this point, perform the bucket operation.